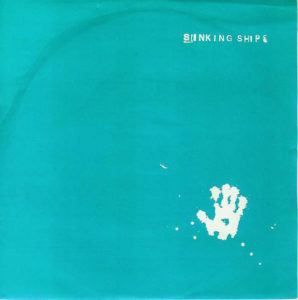 Sinking Ships were a criminally undersung post-punk band, lost in the mire of the early 1980s explosion. 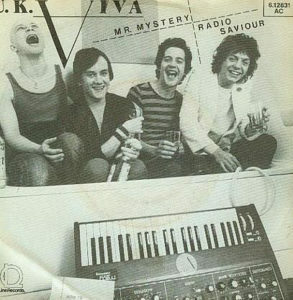 The band released two singles and two compilation tracks on the infamous Household Shocks compilation, disappearing off the face of the earth after 1980. They seemed to draw great UK press at the time and even caught the attention of John Peel, who played the tracks on his infamous radio program. The band opened up for several bigger names at the time, including the Psychedelic Furs, but never could tap into that same level of success as their peers. A similar tale to many we’ve heard here in the past, hopefully culiminating in a new audiece for this excellent single. There is a different rip of this single floating around, but I’ve re-ripped a copy I picked up recently for maximum enjoyment. Once more, my good friend Goutroy and I will be teaming up to bring you the full 7” discography of the band. You can find his rip of the Dream 7” over at A Viable Commercial, complete with an equally strong a-side and a curiously overlong live dirge crammed on to side B. As for this single, the title track is one of my favorite obscure post-punk rave-ups, akin to the likes of Chairs Missing-era Wire and early Modern English. The b-side is a catchy, jangly affair with a huge, pub-singalong kind of chorus that shuffles over the course of three minutes. 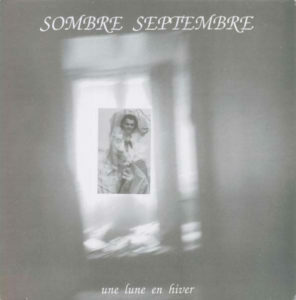 Here’s another quick post for another French coldwave classic, re-ripped from the archives for those who have already heard this one. This post is a sister post of sorts to Sorrow Vomit’s latest offering. While that self-released CD-R contains most of the band’s discography, it curiously neglects the A-side to this 7” and includes a low quality rip of the b-side. Maybe the band were disappointed with this single or couldn’t locate the tapes. Just a theory. The songs are quite long for a 7”, which explains some of the murkiness that you may hear here occasionally. Anyway, this 7” saw the band experimenting with heavier, synthpop inspired drums, though obviously the songs are still very synth/guitar/bass driven, melancholy tones, etc. If I recall correctly, these two tracks featured a different lineup than “Le Nez Rouge” so that may explain both the new sounds and the aforementioned omissions. Coming soon- more collaborations from an Italian collector as well as some never-before-heard rarities I’ve been meaning to post for a while now. Hang tight! This week, I’ll be posting a handful of records donated by a kind reader of this blog, who loaned me a few pieces from his prized collection. Thanks, Greg! First up we have a record that’s been posted and ripped in the past, but always at a low bitrate or quality. So pardon the redundancy, but here it is in high quality, 320 kbps form. This particular LP hails from Scotland and was released on EMI in 1980. This band was notoriously the launching pad for David Rudden, who left just as the band was getting signed to form Endgames. Jim Spender also would go on to join Altered Images after this LP while the remaining members would release one more 7” before disbanding. 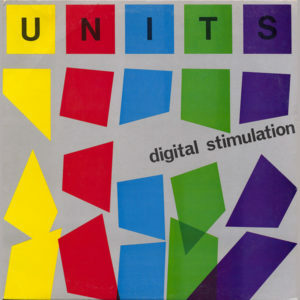 The LP was produced by Mike Thorne, who should need no introduction for fans of early Wire, Soft Cell, Bronski Beat, Furniture, Blur, and B-Movie, just to name a few. Quite an impressive resume! Stay tuned for more from Greg’s collection, including a rare, private tape release! Here’s a driving minimal synth single from 1980. A little bit of Buzzcocks/Undertones sound underneath all the electronics, kind of representative of the shift from punk to new wave, so fans of early 1980s synth should find this one to be a real treat. You may have heard the b-side track on the New Wave Complex series, but the a-side is the standout, at least to my ears. 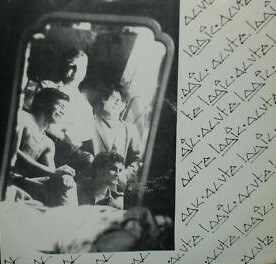 This is the band’s lone release, though another version of the single exists under the name Viva. Likely that there was another band with the same name, so they added the U.K. bit in to differentiate (also see bands like The Chameleons and Charlatans for this sort of treatment). 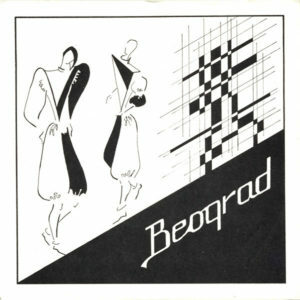 The original Viva 7” was released on Square records, home to an early Aerial FX release, another thematic touchstone for this track. The U.K. Viva edition appeared on Line records, known for pressings of Iggy Pop, Nico, and Smiths singles. 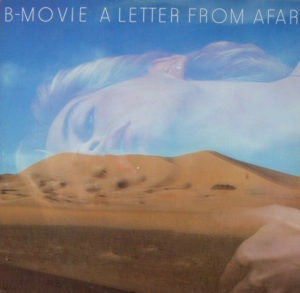 When I think of the best UK bands, few spring to mind quicker than B-Movie. I’ve covered them twice here before, once with their 1985 LP Forever Running and then a few years later with their unstoppable Nowhere Girl 12”. I’ve been meaning to upload their earlier singles for some time now, probably years, but it just slipped through the cracks. I hope you’ll forgive me, folks. 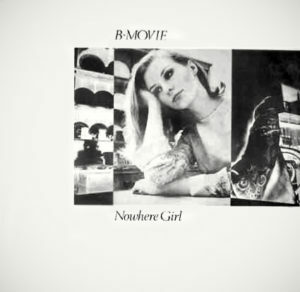 Again, in case you missed them the first time- here’s the full Nowhere Girl 12” (including the 12” extended mix) and their 1985 LP, Forever Running. 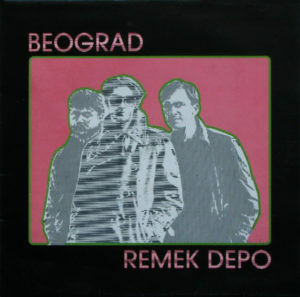 Here’s the entire discography for Beograd, a killer Serbian minimal synth project formed in 1981. Beginning as a four piece, the band would most often appear as a trio, who recorded the majority of the band’s output, including one 7” and one full length LP. Surprised I haven’t seen either of these posted through the usual channels, as each of these releases are essential, in my opinion. The band didn’t stay together very long, splitting up in 1983. 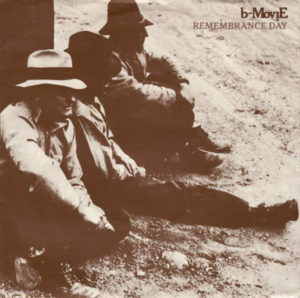 One of the members would then release a 12” with Haj’mo, which I’d love to hear if anyone has a copy kicking around. That all said, here’s both of the band’s releases, zipped up for yr enjoyment! 1. Sanjaš Li U Boji? **March 2012: The TV 7” has recently been reissued by Anna Logue records, so I’ve just reuploaded the LP. I have a few more posts lined up for the week, but a lot on the slate. Maybe I’ll toss another one or two up today to keep you all satiated for now! Either way, stay tuned for more goodies to come follow. 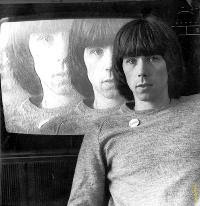 Today’s artist should need no introduction, as he’s a member of several pioneering electronic acts including the likes of Throbbing Gristle and Chris and Cosey/Carter Tutti. Though Chris Carter lent his skills primarily to these outfits, the English musician recorded several of his own more electronic and less abrasive pieces on the side. 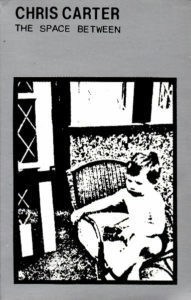 This particular release, Carter’s first solo outing, consists of several synth/wave instrumental recordings made in the legendary Throbbing Gristle studio. 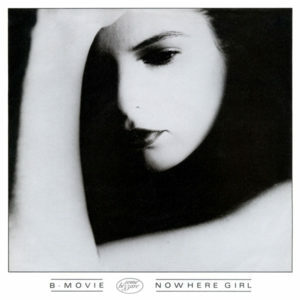 Though it’s been re-released several times over (never on vinyl), The Space Between originally appeared in cassette form, with little information and no tracklisting. 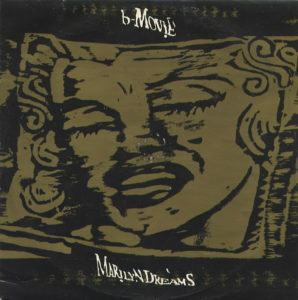 The original pressing was released on TG’s Industrial Records, while subsequent CD reissues appeared on Elektra and The Grey Area. Thanks to a generous donation from Kevin Crow, I am pleased to offer the long lost I’m So Hollow peel session, recorded on the 13th of August, 1980. 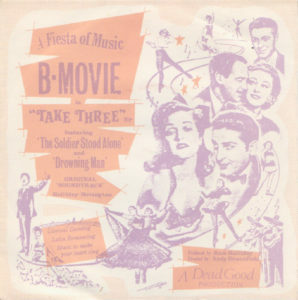 Two of the tracks are exclusive to this release, not recorded or released in any other form. 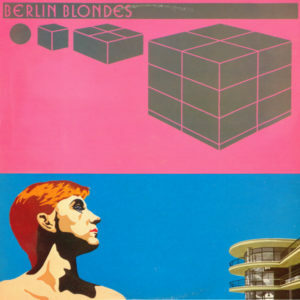 The first two, however, appear on their debut 7”, 1980’s Dreams to Fill the Vacuum and their 1981 full length, Emotion/Sound/Motion, respectively. You can download their entire discography here! *DOWNLOAD LINK REMOVED* – reissued via Furturismo!